Jack is the result of the first collaboration between B&B Italia and Michael Anastassiades. Known for his skills in working with light, the Cypriot designer has designed a modular bookcase system with a striking degree of technological perfection. In its search for the creation of an innovative language, this design challenge revisits and modernises a design classic, the 1950's room centre bookcase, transforming it into a complement with a clean, essential yet architectural structure. 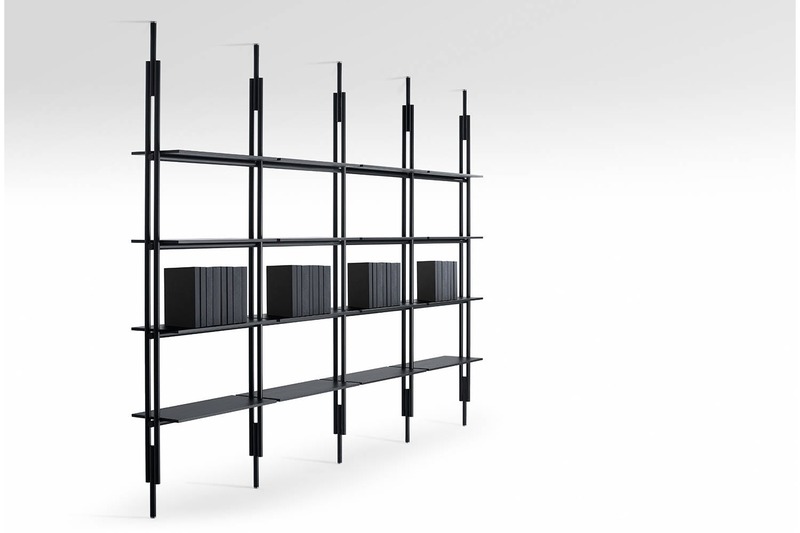 The genius of the piece lies in concealing the engineered supports, including those holding up the laminated shelves, inside the vertical elements with a rounded section made of extruded aluminium and integrated by an exclusive, totally-invisible, floor-ceiling telescopic adjustment system. 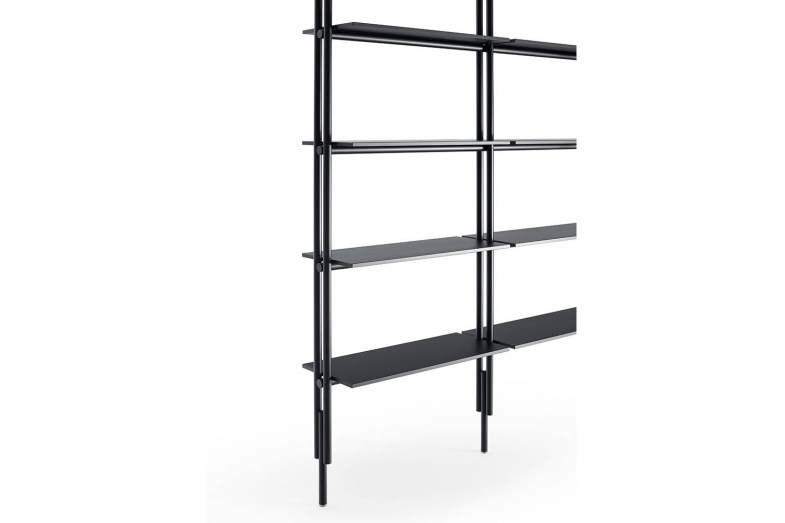 The system is available in 14 heights, ranging from 220 cm to 324 cm and taking in all measurements in-between, while the shelves are in two lengths, 75 cm and 90 cm, both 30 cm deep. Two are the finishes provided for the vertical elements and shelves for single-colour solutions, chalk white and black, both matt.